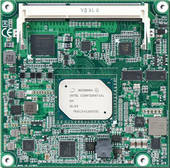 COM Express® defines a standard for Computer-on-Modules and describes the size as well as pin-outs. The standard includes the mini form factor (84 x 55mm), the compact form factor (95 x 95mm) and the basic form factor (125 x 95mm). 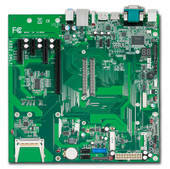 The COM Express® pin-out Type 6 is a versatile standard offering a broad range of I/O interfaces including intense graphics support, Digital Display Interfaces (DisplayPort, HDMI) and super-fast USB 3.0 to serve all kind of different application requirements of the various market segments The new COM Express® Type 7 pin-out is a complementary specification to the existing Type 6 pin-out. It is replacing the graphics support by offering multiple 10GbE-KR ports and defining 32 PCIe lanes. The Type 7 is an ideal definition to design server-grade platforms for applications requesting high data and network throughput. PCOM-BA01, Portwell's brand new COM express Mini size low power module, with display up to 4K digital display resolution and wide temperature range targeting for extreme environment. Intel® Broadwell-ULT Core™ i7/i5/i3 processor based on Type VI Compact-COM Express 2.0 module with DDR3L SDRAM on SO-DIMM slots, VGA, LVDS, Display-port, Gigabit Ethernet, PCIE, SATA and USB. 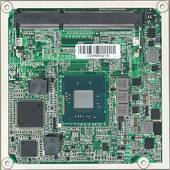 Intel Baytrail E38xx-series CPU based Type VI COM Express® module with DDR3L SDRAM, VGA, eDP, HDMI, Gigabit Ethernet and 3Gbps SATA. 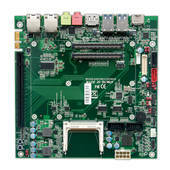 ATX Form Factor Evaluation Carrier Board for COM Express Revision 3.0 Type VII Module with 4x 10GbE Support. 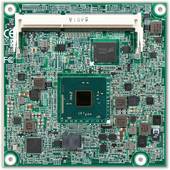 Micro-ATX Form Factor Evaluation Carrier Board For COMExpress® Revision 2.0 Type VI Module. 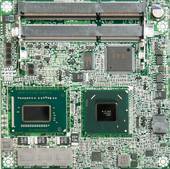 Micro-ATX Form Factor Evaluation Carrier Board For COMExpress® Revision 2.0 Type VI Module.